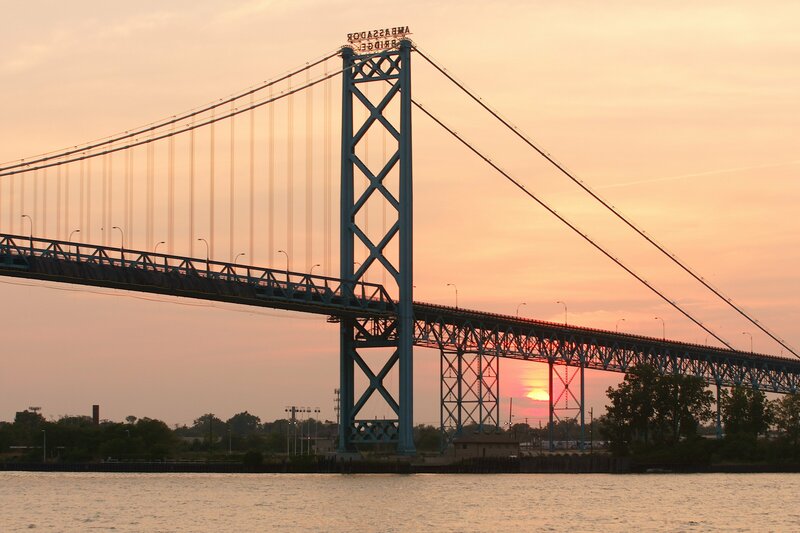 The Ambassador Bridge has received approval from the Canadian Government to build a second span. They say the bridge will be North America’s longest cable stayed bridge. “We especially thank Prime Minister Justin Trudeau and Canada for issuance of the final permit supporting our Company to make this major investment in international infrastructure. There have been many challenges our company has faced over the years in pursuit of this moment. We are now tasked with the duty to construct a privately funded bridge with the hard work of thousands of engineers, steel workers, construction experts that will be employed to deliver this once in a lifetime project” said Matthew Moroun. The project will see the construction of a replacement six-lane bridge as well as an expansion of the Ambassador Bridge’s associated Canada Border Services Agency facility. Under Canada’s International Bridges and Tunnels Act, the project is subject to conditions that will ensure the efficiency, safety and security of the crossing and mitigate the impacts of the project on the local community. The conditions include the dismantling of the existing bridge when the replacement bridge is open, improving local infrastructure, creating new public green spaces, and protecting the environment and considering Indigenous interests. “The Government of Canada recognizes the importance of ensuring the continued flow of trade and travellers between Windsor and Detroit, one of the most important Canada-United States border crossings. The construction of the replacement Ambassador Bridge together with the Gordie Howe International Bridge project will ensure that Canadians continue to benefit from the efficient movement of people and goods at this crossing while providing infrastructure improvements for the local community,” said The Honourable Marc Garneau, Minister of Transport.